Your wedding lehenga (or gown) is going to be one of the most important things in your wardrobe. You don't want to get it wrong because everyone will be Insta-ing it and looking at it. And if you pick the right one, it may become something you hand down to others. If you want to get it customised to your needs, one of the go-to places in the city will be Swati Agarwal Couture, known for gorgeous lehengas, gowns and anarkalis (great for your bridesmaids). Swati, a graduate from School Of Fashion Technology (SOFT) in Pune, has worked with the likes of Tarun Tahiliani in Delhi and likes to integrate Mughal-era designs with contemporary colour palates. Her works are a mix of embroideries, mirror work, prints and draped or voluminous silhouettes. Pick up the uber-cool subtle pieces which will be perfect for a sangeet or reception. 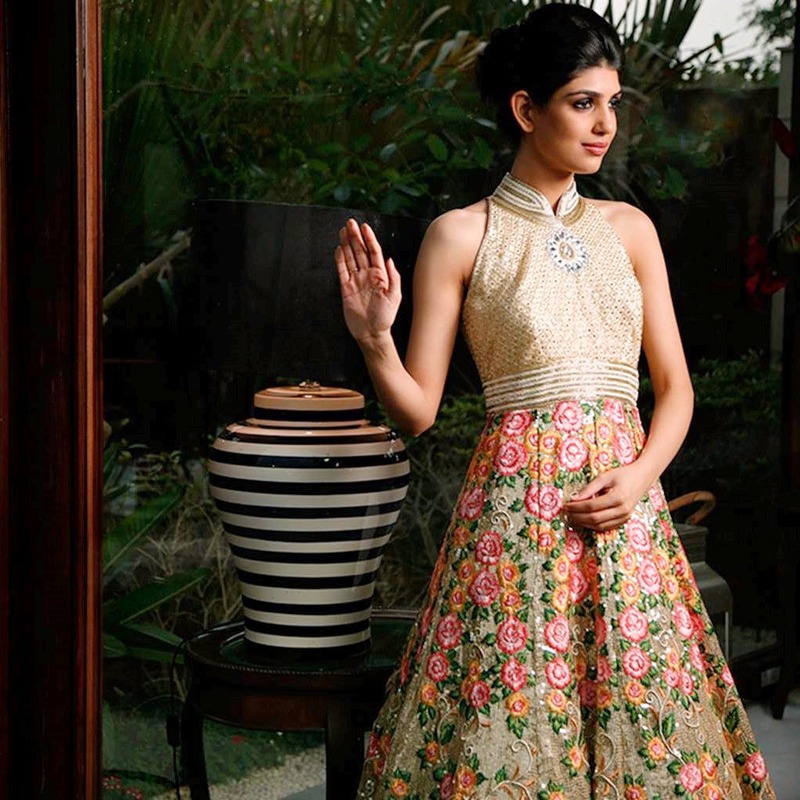 For the mehendi ceremony, pick up pastel hues or an ivory embroidered lehenga. We love the hues of soft blues, greens, misty lilacs, pinks and dusty rose - they can double as dresses for engagement parties or bridesmaids. Her draped dress line - wherein classical drapes gets a modern spin with bold zardozi placements - is very popular for weddings and other occasions. The response on Facebook needs to be better. Shaadi season is here! If you want to nail all the looks you imagined in your head, make sure to bookmark this. We recommend you go with an open mind to get a full and rich experience. Happy wedding shopping!